The Eko-Konnect Girls In ICT Community Day took place on Saturday 27th January 2018 as the finale to the Women in WACREN Workshop. The community brought together students, lecturers and the women in WACREN workshop participants to a day of women’s advocacy and activism aimed at encouraging women to take up careers in STEM subjects and looking at ways of overcoming the challenges facing female gender pursuing academic and commercial careers in STEM. Guest speakers including Mandeep Saini, Head of Software Development, GEANT, Jane Egerton-Idehen, Country Manager, Avanti Satellite Systems and Founder of Women and Career and Ifee Kojo, Country Lead, Hewlett-Packard Enterprise, Nigeria, spoke to the different issues facing women and girls in STEM education and careers. The speakers touched on different areas including cultural factors affecting female participation in software development, how women should make strategic choices in building ideal skill sets for the 21st century and how girls can take of advantage of being mentored by other skilled and successful women from STEM academia and industry. In a vibrant question and answers session between the guest speakers and the attendees, varying subject areas affecting women in pursuit of their education and careers in STEM disciplines were discussed in an open and frank manner. 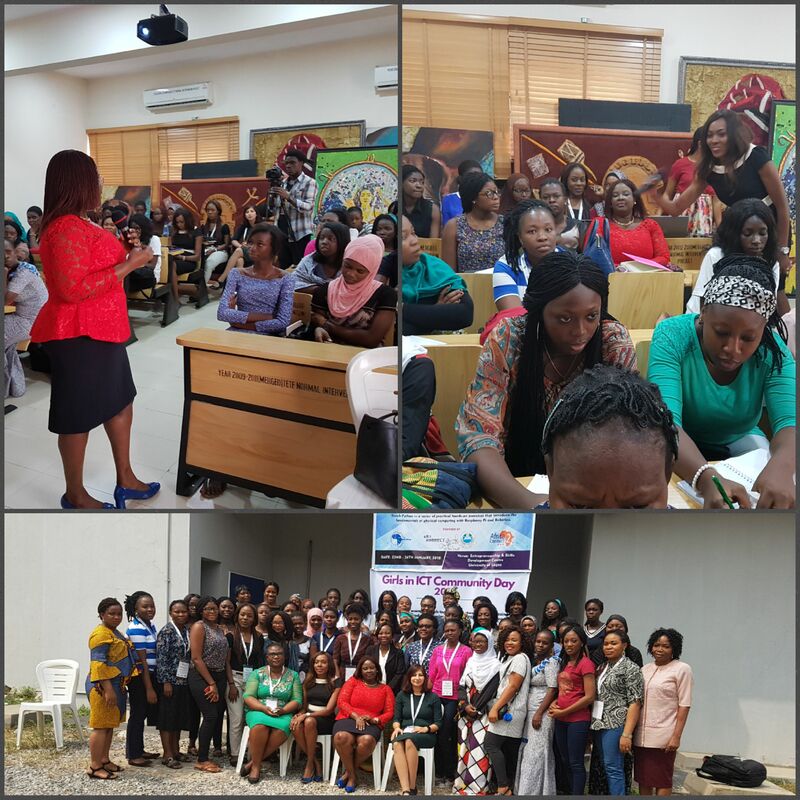 The attendees of the community day were inspired and the guest speakers spoke of how touched they were at being present and their optimism of far-reaching impact of the community day and workshop for greater female gender participation in STEM-related academia, industry and careers for girls.